‘We all have to decide what we want to do with the World Service, whether it wants a strategy for growth or managed marginalisation’. This was James Harding, the director of BBC News, speaking at the launch of his Future of News report in January 2015. When editors declare that part of their empire faces a choice between expansion or decay, they are, of course, not advocating the second option. But the stark manner in which the issue was raised – what do we do with the World Service? – chimes with a debate pursued fitfully within the BBC in recent years. When the corporation faces such acute funding challenges, what role is there for what's sometimes perceived as a heritage brand remote from its new funder, the licence fee payer? If the BBC was designing a range of global services from scratch, it would probably not put as much effort in a global English language radio service as it would in television and digital offers. And if it broadcast at all in other languages, it might well be in a small number of widely spoken languages. But the BBC is not new in the game. It’s in the privileged position of being the best regarded global news broadcaster with a reach and authority built gradually over decades of endeavour. It is currently attracting three-hundred million viewers, listeners and users around the world and has been set – by director general Tony Hall – the task of raising that to half-a-billion by the BBC’s centenary in 2022. What is the World Service? - the twenty-seven language services, once radio operations but now with as big a reach on television, the internet and social media. That does not stretch, for our purposes here, to encompass those components of the World Service Group which have a different funding basis or history: BBC World News television and the bbc.com website, with audience reach outside the UK of 85 million and 32 million respectively, are largely commercially-funded; BBC Media Action, an ambitious global development communications charity, is supported by donors, governmental and otherwise; BBC Monitoring, funded principally by the Cabinet Office until 2013, now falls under the licence fee. The transfer of funding responsibility from the Foreign Office to the licence fee was preceded by a reduction of about a quarter in the World Service budget, entailing the closure of several language services as well as of transmitters and frequencies. The unceremonious dumping of the World Service on the licence fee produced an undertow of resentment elsewhere in the BBC, faced with the prospect of cuts to accommodate services the Foreign Office no longer wished to support. That anxiety was mirrored within the World Service. So far, though, the BBC has lived up to its public commitment to inject additional money into the World Service – though that does not mean that global services will, or should, be immune from the need to achieve further savings. If the Foreign Office was still the funder, the World Service would certainly have faced cuts much deeper than it has so far endured. And simply on the grounds of convincing our audiences of our editorial independence, the rock on which the BBC’s worldwide reputation stands, being funded in the same way as much of the rest of BBC News feels a lot more comfortable than receiving a grant directly from government. All this coincided with the BBC's move out of Bush House, a building so resolutely unmodern that it really was an example of managed decline. However much the World Service loved Bush House and the cosmopolitan culture it nourished over seventy years, being at a distance from Broadcasting House and Television Centre created formidable barriers to binding with the broader BBC. The move to the lavishly expanded Broadcasting House, where World Service teams are co-located with the rest of BBC News, has proved to be a blessing. The funding change has required a recalibration of the case for public money to fund services which are directed largely to audiences outside the UK. The most difficult argument for the World Service is the one James Harding turned to first when launching his Future of News report – that it is ‘an ambassador of Britain’s values and an agent of soft power in the world’. The argument that respect for and the reach of the BBC World Service brings benefit to Britain is unexceptional. But if that extends to presenting the World Service as an informal aspect of British diplomacy, then a line has been crossed. The main purpose of the World Service is to meet a demonstrable need for impartial, authoritative and engaging news. If that is diluted, even if simply to help make a case in Westminster and Whitehall, there is a risk of damaging the trust which is the basis of the service’s reputation and reach. The more compelling case for the World Service is its continued success in attracting audiences. Across the world, one in every sixteen adults makes use of the BBC. Two-thirds of that reach comes from the World Service. It’s what sustains the BBC as a global brand. The English World Service is by far the BBC’s biggest radio network. According to the 2015 Global Audience Measure, more than 50 million listeners tune in every week. The latest figures indicate an impressive year-on-year increase in audience of almost a quarter. A gradual fall-off in short-wave listening has been more than matched by increasing audiences to FM relays in major cities and by World Service content being carried on hundreds of partner stations who dip in to BBC output for part of the day. Half the total English audience is in Africa. Half of the rest is in the United States, where public radio pays (not a huge sum, but in total several million dollars a year) for the right to rebroadcast flagship programmes such as Newshour. Although only 4 per cent of the audience for the English World Service is in the UK – split roughly equally between those listening on digital audio and in the night hours on Radio 4 frequencies – that still delivers a reach of more than two-million, which is about the same as Radio 3. It’s a powerful reaffirmation of the value of the World Service to licence fee payers. 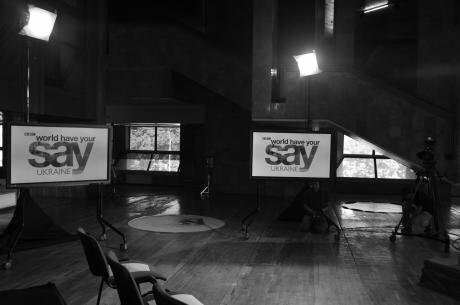 The network has devised new, more engaging, formats for news and current affairs, with programmes such as World Have Your Say and Outside Source. It produces the BBC’s most widely accessed news podcasts (the Global News podcast has approaching half-a-million downloads a day) and has developed a Facebook community, notably in South Asia, which is well over the three-million mark. The 2016 audiences figures will, for the first time, reflect the success of the newly-launched BBC Minute, a ‘bite-sized conversation of what’s happening now around the globe’ refreshed every half-hour. This has a tone and news agenda aimed particularly at younger listeners to mixed genre radio stations in Africa; it will add several millions to overall reach. A radio service which is sometimes seen as unchanging has had a greater pace of change than any other of the BBC’s national radio networks – accompanied by greater audience growth. The reputation of the World Service, and the generally high standing it enjoys with parliamentarians and opinion formers, is a valuable asset to an embattled BBC and threatened licence fee. Some years ago, a senior member of the BBC’s audiences and marketing team, in presenting a survey of parliamentary and political opinion about the BBC and its constituent parts, commented lyrically that the World Service was ‘in a sweet spot’ while the broader BBC was simply ‘in a spot’. That’s still the case. John Whittingdale who, as the new culture secretary is regarded in some quarters as ‘the scourge of the BBC’, presided over a culture, media and sport select committee report which lauded the World Service as ‘a reliable, respected foreign and English language news service’ with ‘an increasingly important role in what is a global information war’. We want to look at how this important part of the BBC's service can continue to compete with other international providers and remain relevant in a changing global environment. ... Making sure the World Service continues to have the funding it needs will be vital to allow it to continue to deliver value for the UK. The pressure on the World Service's budgets (the green paper puts these at £254 million in 2014-15) is likely to come from inside the BBC rather than from external pressure to reduce the scope of global news provision. The funding of the World Service through the licence fee strengthens the BBC’s hand in negotiations about a new charter – in the words of the Economist, ‘while the World Service remains a national treasure, it is also a valuable ransom’. The BBC’s case for charter renewal is likely to argue that only a sufficient overall settlement will allow the World Service to thrive and, in particular, to implement some of the recommendations put forward by Sir Howard Stringer, former president and CEO of Sony and a non-executive member of the BBC’s executive board, about how to reach the half-billion audience target. These include consideration of a service in Amharic for Ethiopia, Africa’s second most populous nation, and a platform to reach the people of North Korea. The BBC’s language services have been through more profound change than perhaps any other part of the corporation. Once almost entirely radio services, these now gain as much of their reach through television, online and social media. Television services in Arabic and Persian, with audiences of 32 million and 14 million respectively, are now the main BBC platforms into the Middle East. While radio remains the primary means of reaching audiences in much of Africa, TV news services in Swahili, building on the Focus on Africa brand in English, are starting to attract millions of viewers. The case for broadcasting in the most widely spoken languages, and in a small number of lifeline languages (Somali is a good example) where the BBC has high standing and can meet profound need, is fairly clear cut. Not all the current range of services fit in one or other category. This is in part a legacy of rancour between the BBC and the Foreign Office over the implementation of public spending cuts. The Foreign Office insisted on retaining a right of veto over the closure of languages services while divesting itself of funding responsibility. This curious anomaly may well get ironed out in the charter negotiations. But the enduring veto limited the BBC’s scope for a thorough remodelling of the range of languages in which it broadcasts – and it may well wish to return to this issue once a new charter is in place. That certainly is the message from Howard Stringer, who recommended prioritising languages and services with the greatest potential for growth and ensuring that digital and ‘mobile first’ strategies punch through. While the BBC’s World News TV network and the global-facing website have shown the way in attracting commercial income, the World Service also needs to explore opportunities for topping-up budgets. Some of the bigger language websites have piloted taking adverts, and the success of Arabic TV is likely to prompt consideration of its commercial potential. There’s not so much prospect of further commercial revenues from the English World Service – unless it, too, pilots taking advertising, which would be politically difficult and, given the absence of an established advertising market in international radio, may not be all that lucrative. Not many licence fee payers watch or listen to the BBC's language service but they gain in another way. Languages journalists allow the BBC to maintain comprehensive global cover at a time when resources are tight and the newsgathering footprint is shrinking. Correspondents brought in to the BBC to work for language services – among them Shaima’a Khalil, Tomi Oladipo, Anne Soy, Nomsa Maseko and Rupa Jha – are increasingly familiar faces and voices to audiences in the UK. This sharpens the BBC’s journalism, freshens the range of on air talent and is a more efficient use of the licence fee. It is one of those examples of crisis being a catalyst to changes which are altogether beneficial. Over the past few years, the World Service has avoided the prospect of death by a thousand cuts through innovation and new investment, as well as a pursuit of greater efficiency. Judging by audience size, it has worked handsomely. That success offers the BBC the opportunity of remaining a vital force in international news at a time of retrenchment. The new form of funding for the World Service carries risks, and it remains possible that a smaller BBC will turn in on itself and focus narrowly on a public service remit in the UK. That is not only unlikely, it would also be unwise. The harm it would inflict on the BBC’s global reputation, and so its ability to provide comprehensive news for domestic as well as international audiences, would be immense. As James Harding put it recently, ‘the BBC is unique, the most trusted, responsible and reliable news source in the world, and our biggest job in the next ten years is not to screw it up’.